Happy Halloween! 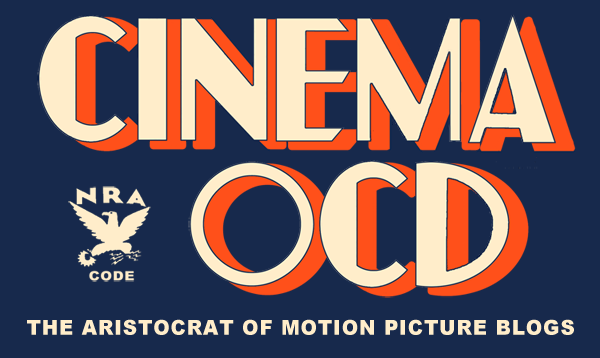 To celebrate the day I've put together a list of scary movies (one per decade) that may appeal to those of you,who, like me, would rather watch ten obscure pre-code films than one horror movie. Well how about starting it off then with an obscure pre-code horror movie? The Old Dark House (1932) starring Charles Laughton, Melvyn Douglas, Boris Karloff, Raymond Massey, Gloria Stuart and Lilian Bond and directed by James Whale is a good old-fashioned things that go bump in the night kind of movie. This film doesn't use a lot of fancy effects or make-up to create horror. It uses the darkness, tension and the sound of wind on a stormy night in Wales to create the atmosphere. Because it's pre-code, there's a bit of raciness in that Lilian Bond plays a show-girl whose shacked up with Charles Laughton but falls in love with a traveling stranger played by Melvyn Douglas. They manage to sneak in a rather sweet romance in between screams. The Uninvited (1944) is another things that go bump in the night movie about a couple that rent a haunted house on the English Coast. It stars Ray Milland, Ruth Hussey and Donald Crisp. The ghost is kind of annoying rather than scary. I enjoyed this movie priamarily because I love Ruth Hussey and it was great to see her in a such a big part even if she only plays the hero's sister. Eye Without a Face (1959) This French film is creepy in the extreme while making a really powerful statement about the beauty culture in which we live. Pierre Brasseur plays a mad scientist trying to restore his daughter's face which was horribly disfigured in a car accident. He keeps her prisoner while he kidnaps women, and attempts to remove their faces and surgically transplant them onto hers. All this goes down rather poorly with daughter and her fiancee who thought she died in the accident. The Innocents (1961) starring Deborah Kerr is a brilliant adaptation of Henry James' novel "The Turn of the Screw." 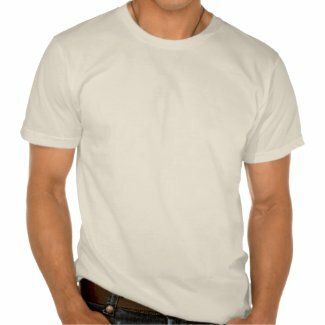 This is agreat ghost story whose techniques of filming have been borrowed so frequently since that it doesn't quite seem as pioneering as it probably did in the early sixties. This movie relies almost entirely on tension, lighting and music to convey the horror. The creepiest scene in the movie takes place in broad daylight. Kerr is always wonderful, but here she is at her best conveying the sense of rising terror and panic that may or may not be her own hysteria. The Wicker Man (1973) is another movie that is almost all atmosphere and tension. Edward Woodward plays a police detective sent to a remote island in the Hebrides to investigate a missing child. The great horror veteran Chirstopher Lee plays Lord Summerisle, Woodward's adversary. One unnerving and unsettling event after another happens leading the audience down the garden path to the film's surreal and horrible conclusion. The Changeling (1980) Looking back on my list, there is a predominance of haunted house movies, but this is probably the scariest of the lot. The contemporary Japanese horror film Ringu and it's American re-make, The Ring, borrowed heavily from this tale of lonely man (George C. Scott) in haunted house trying to solve the mystery of its former occupants. In most haunted house movies you wonder why the occupants don't just leave after the first incident, but the Changeling offers the explanation that this man would really rather have a ghost as his companion than no companion at all. The Blair Witch Project (1999) If you can take all the cursing and the horrible hand-held camera work, this is possibly the scariest movie of all time. Relying on pyscological tension and a few well placed gimmicks, the story follows three film students who get lost in the woods. The innovative techniques used to make this film on a miniscule budget make it legendary. No film in my recollection has caused such a polarized reaction. Peoople either bought into and thought it was scary as all get out as I did, or they were bored silly. I saw this film in the theater when it first opened and my friend and I literally clinged to one another through the second half of the movie. I happeneded to be scheduled to go on a ten day camping trip right afterward. Just hearing the sound effects in the trailer is enough to get my heart rate up to this day. This movie has been parodied enlessly, but that is only a reaction to the complete hold it had on pop culture one summer. Horror is one genre that I don't watch all that often; particularly the modern day slasher stuff. Sometimes it is fun to watch the old Universal horror stuff from the 30's. 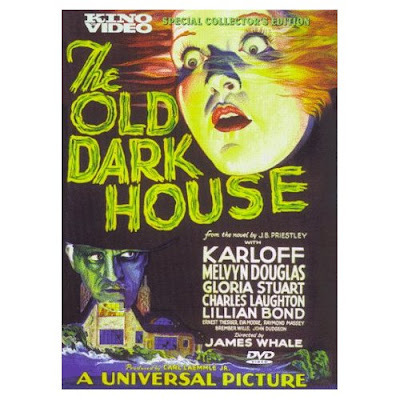 I have The Old Dark House, primarily for Charles Laughton and Melvyn Douglas, but it is a creaky movie, (pun intended). It's interesting to see someone of Lionel Barrymore's stature in Mark of the Vampire, which I suppose was considered an "A" picture, as far as horror goes. Why not pre-code horror films? The Tod Browning-directed Lon Chaney films are stranger than anything being made today. I'd love to do a pre-code horror post. Maybe by next Halloween I'll have seen enough to do so. I have seen Freaks and the silent movie, Unknown. I should have added The Unknown, it is completely creepy and though it is an "effects" horror movie, it relies most on Chaney's acting and atmosphere to bring thrills. I read your wonderful blog all the time but it took a horror post to get me to track down my password and comment. Go figure. And I have to comment on only 3 of these. First: Wicker Man. Love it. How AWFUL was the remake with Nicholas Cage? (Yet I sat through it.) The original reminds me of Picnic at Hanging Rock. I always pair these movies for some reason. The Changeling: OMG! I have thought a lot about this one lately. It was on TV all the time when I was a kid and it scared the crap out of me...the whole thing with the wheelchair and the bouncing ball. I keep wondering...in all the press for the new Clint Eastwood/Angelina Jolie movie of the same name...why no one at least gives a nod to this movie. I know it's a completely different story but it deserves a mention! And Blair Witch: I'm one of the ones that was seriously frightened, to the point of nausea-frightened. And afterwards really impressed by the concept of this type of film. I felt like it was as close as one could come to actually being in that kind of desperate, terrifying situtaion. The ending is probably the scariest in movies. Well, a toss up between that and certain scenes from The Shining. Esther, the Changeling is awesome. I first saw it at a church lock-in when I was a teenager. A couple of us got so scared we had to go sleep in the nursery with the lights on. I have thought of the horror movie every time I've seen Clint Eastwood's movie advertised. I think it will definitely be in the running for the Oscars so it won't go away anytime soon. I agree on Blair Witch too. It's funny how what scares a person is totally subjective like what makes you laugh.